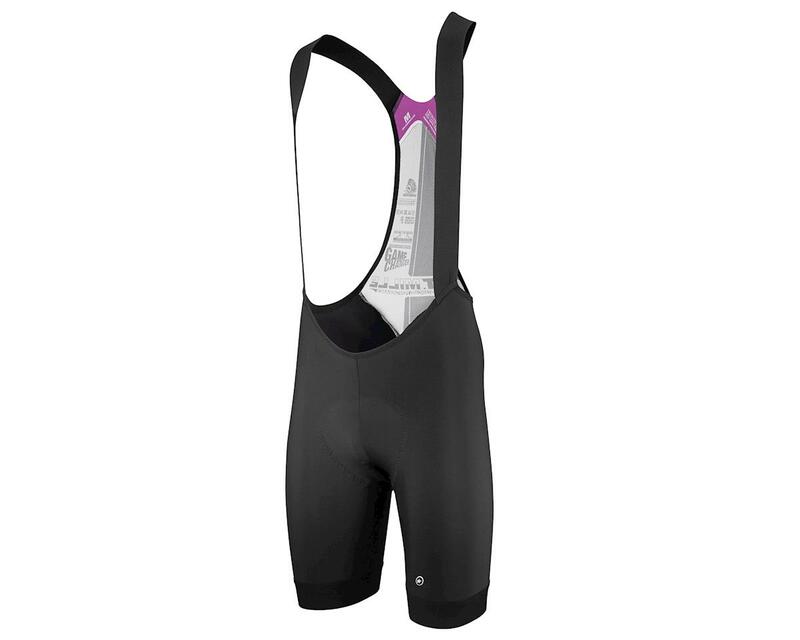 The T.mille s7 bib short is Assos's 'everyday workhorse' offering. Ideal for your leisurely social rides and commutes, while up to the challenge of more serious endevors. Designed with emphasis on both comfort and performance, yet tailored with a more accomodating fit, so those of us that love to ride but don't necessarily have the pro racer body type. can still enjoy that legendary Assos quality, comfort, and performance. Employing technology and fabrics engineered over a 5-year period, the T.mille offers reduced seams, superior support, and abrasion-resistant fabric. Assos's comfortFit provides a wider cut waist that is soft, stretchy, and supportive, and low enough to facilitate easy nature breaks. The wide, flat bib straps reduce friction and pressure on the shoulders, and the mesh back panel increases breathability. The mille chamois insert is light, fast drying and breathable, featuring Assos waffle 8mm thick memory foam multi-layer construction, and attached with the revolutionary goldenGate stitch design which eliminates the seams on either side, where motion tends to cause friction. This allows the chamois to move with the body in a more three-dimensional way. The shorts are Type.429 Titanio, which is luxuriously soft to the touch, yet durable enough to stand up to abrasion and wear. This unique proprietary blend material is naturally black, not dyed, so when stretched it doesn't show any signs of transparency. It offers subtle compression to keep things in place, and manages heat and moisture to keep you feeling dryer for longer. 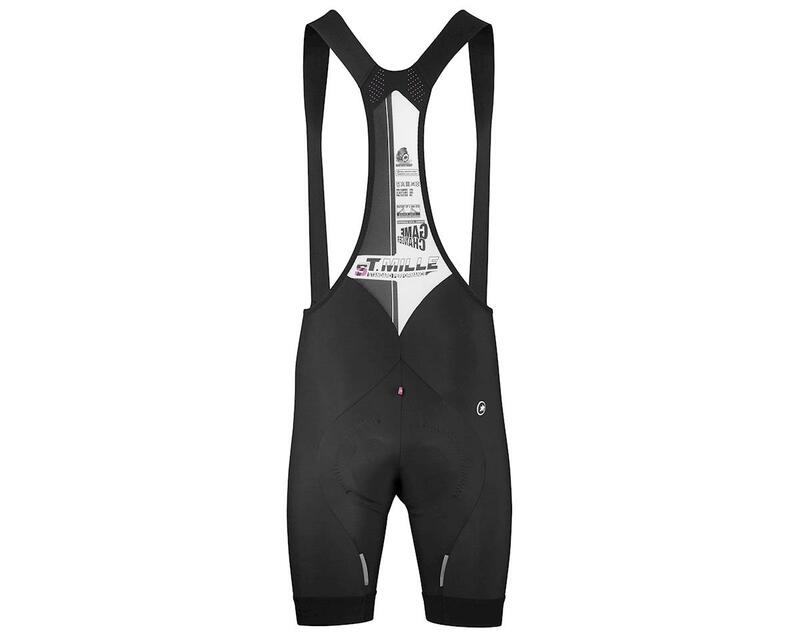 The T.mille s7 bib shorts offer tremendous comfort and fit for the money and are considered some of the best bib shorts you can buy at this price! Type.429 Titanio: A Unique textile, that uses a 4-way stretch to maximise the elasticity of the fabric.